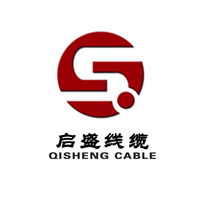 Product categories of Cables For Electrical Equipment, we are specialized manufacturers from China, Cables For Electrical Equipment, Mining Communications Cable suppliers/factory, wholesale high-quality products of Mining Control Cable R & D and manufacturing, we have the perfect after-sales service and technical support. Look forward to your cooperation! Cables For Electrical Equipment, also known as control cables, are not the only steel belts they say. Generally, there are the following types: copper wire braided shield, copper tape shield, steel tape armor, aluminum tape armor, and several composite armor.Definition 1: A wire made of one or more insulated conductors and an outer insulating protective layer that transfers power or information from one location to another. Definition 2: A cable-like cable usually made up of several or several sets of wires (at least two in each group). Each set of wires is insulated from each other and often twisted around a center. Highly insulating cover. The cable has the characteristics of internal energization and external insulation.